The generic Boeing 702HP pictured in this artist's rendering is similar to the ViaSat-2 Ka-band satellite that Boeing will build for ViaSat. EL SEGUNDO, Calif., May 16, 2013 -- Boeing [NYSE: BA] has a new satellite customer under a contract to design and deliver one Boeing 702HP high-power spacecraft to ViaSat Inc. [NASDAQ: VSAT] in 2016. The satellite, ViaSat-2, will provide high-speed satellite broadband services to subscribers of the ViaSat Exede® Internet service, as well as address its growing mobile broadband businesses. The companies also will cooperatively offer the system to other satellite providers. Contract value is not being disclosed. "The ViaSat-2 architecture vastly increases the capacity of Ka-band satellite communications for customers who require faster data delivery while also providing for an extensive coverage area," said Mark Dankberg, chairman and CEO of ViaSat. "Cooperatively selling the architecture with Boeing will benefit future Boeing satellites through an increase in the mix of capacity and coverage, and we expect it to enable us to further expand the range and capabilities of our broadband services." When it joins ViaSat's three other satellites on orbit, ViaSat-2 will enable ViaSat to expand coverage in North America, Central America, the Caribbean and a small part of northern South America. Key transportation routes between the North America and Europe also will benefit. 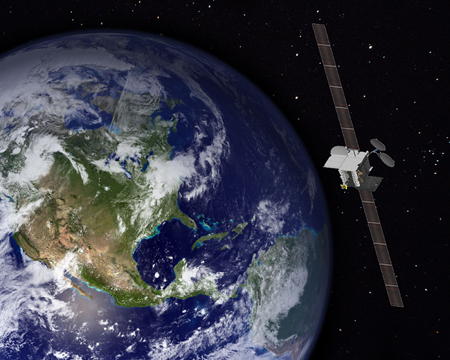 "This first order from ViaSat follows another commercial satellite contract Boeing received just last week," said Craig Cooning, chief executive officer of Boeing Satellite Systems International. "Our product strategy is solid, and industry is responding favorably."